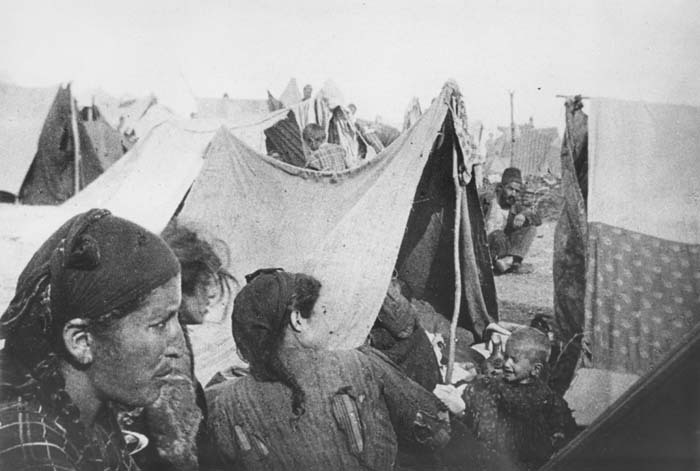 Armenians wait to die in the desert. On 2 June 2016, the German Bundestag (Parliament) passed a resolution recognising the 1915 massacre of Armenians by the Ottoman government as a genocide, and acknowledging Germany’s complicity in it. In March 2017 the General Committee of Cologne City Council agreed that a memorial to the Armenian Genocide should be erected in the city. While a stone memorial cross was unveiled in the Lehmbacher Weg cemetery in Nov 2017, many Armenians were disappointed, believing a memorial needs to be in a public place. On 15 April a memorial to the Armenian Genocide was unveiled in a public square on the left bank of the Rhine near the Hohenzollern Bridge. The creation of Cologne sculptors Stefan Kaiser and Max Scholz, the memorial comprises a steel pyramid on which the words ‘This pain affects us all’ are engraved in Armenian, English, German and Turkish. The pyramid is topped with a slashed pomegranate (a symbol of Armenia). 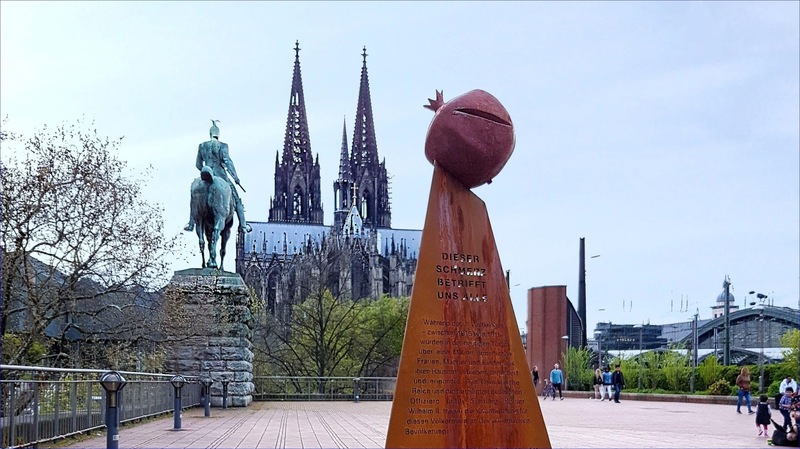 The very next day the Cologne City Council ruled the memorial be removed ‘promptly’, on the grounds that it had not been approved. Cologne’s administrative court agreed. Cologne, also known as ‘Little Istanbul', is home to some 60,000 Turkish migrants. Cologne’s Armenian community – the largest in Germany with some 5,000 members – suspects the City Council succumbed to pressure from Turkish organisations. in order to establish a German-Ottoman super-empire.